Precise, shrewd tales by a prodigiously talented but still too-little-known writer. Nelson (Language in the Blood, 1991, etc.) offers an enthralling refresher course in the exploration of character. 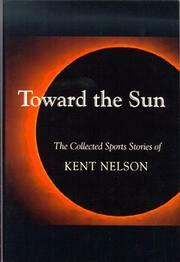 Each of the 13 tales here use a character’s dedication (or addiction) to a sport to plumb hesitations and hopes. In “A False Encounter,” a grieving son is driven to investigate why his seemingly happy father committed suicide. The quest eventually leads him back to a group of his father’s college friends, all of them accomplished amateur boxers. The key to his father’s behavior, it turns out, is hidden in a moment of triumph in his youth when, against all expectations, he was able to rise from the canvas after devastating blow. Such exhilarating, defining moments, Nelson suggests, both shape and haunt us. What happens when one discovers that these moments are singular and unsurpassable? The appropriately named “Death Valley— offers quite a different view of sports: a wealthy and accomplished, diffident young professional golfer visits her lover, a groundskeeper at a golf course in the California desert. Golf has helped to insulate her from the world, and her self-absorption and life of privilege are both called into question when she collides with the hard, sad lives of a group of migrant laborers camped close to the links.”Every Day a Promise” perfectly catches the unwillingness of a track champ to give up his dream of the Olympics. “The Invisible— offers a droll, somewhat mystical celebration of the way in which a star college quarterback wins back his soul from the coaches, boosters, and agents. And “The Squash Player” works out an artful variation on the theme of the aging athlete, as a man struggles to find his place in a world in which he’s no longer physically dominant. Moving, fresh, perceptive work, and further evidence of Nelson’s considerable skills.